Want a widely-available, dirt-cheap source of materials for home dec, as well as your garden? Consider the lowly pallet. These wooden racks are used all over the world to help cushion and ship everything from motorcycles to appliances. In fact, if you pass by a chain store (especially the home improvement ones, like Home Depot or Lowe’s in the U.S.), you’ll probably see a pile of wooden pallets hanging out by the dumpster. Ask nicely, and the odds are good that you can have as many pallets to haul home as your heart desires. 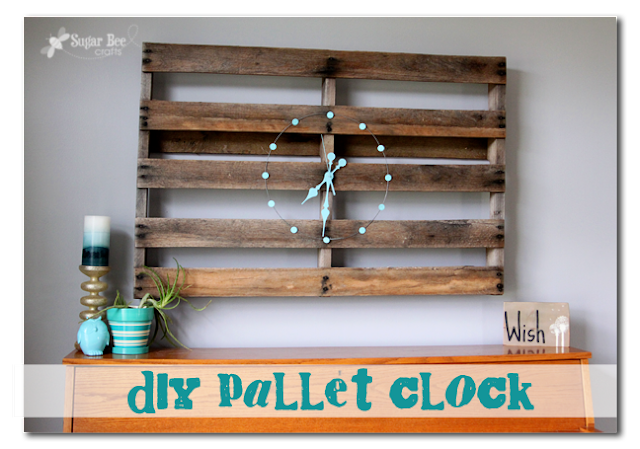 If they’re about the same size, of wood that’s showing some patina, like the photo above – all the better. Once you’re home, hose them down and inspect for holes, stains or weakened boards. (If condition is too bad, they might just be best for firewood.) Now you’ve got some basic material, it’s time to search the Internet for interesting projects. 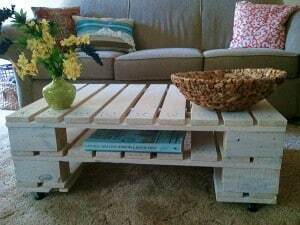 Here’s a link for 21 different furniture items built from pallets, including the surprisingly simple coffee table. That’s not all you can do with these versatile building blocks. Not much time? Tie or nail 4 pallets together, and you’ve got the makings of a compost bin — or a raised bed. Join them horizontally, and you’ll have the beginnings of a fence or bookcase — remove or add boards as needed for the storage space and look you want. Just don’t leave these treasures-in-the-making for someone else to grab. Nice, that is quite lovely. If you only know how to be creative, you don’t have to spend a lot for the decoration of your home.